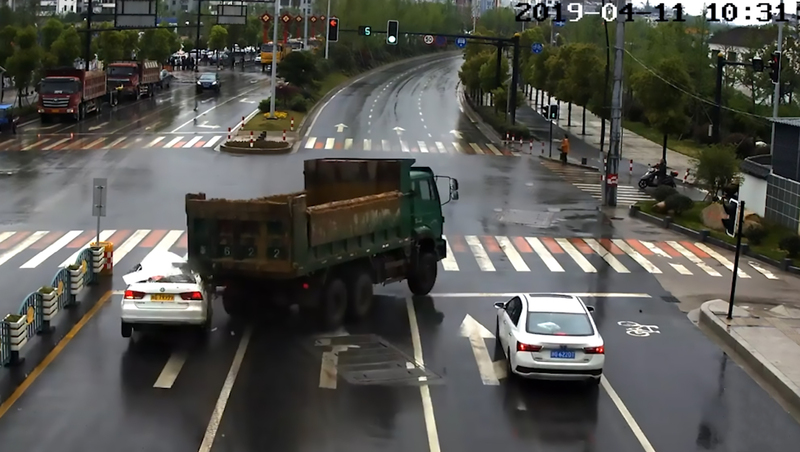 This is the moment a driving school car carrying learner drivers has its roof destroyed when an out-of-control tipper lorry skids on a wet road and slams into it at the lights. 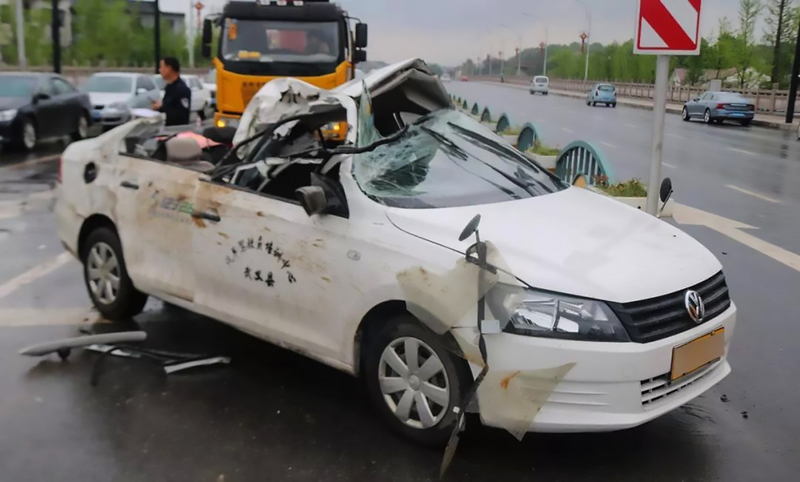 The two students, one who was lying on the back seats playing on his phone, and the instructor escaped the accident unharmed as the lorry shaved off part of the saloon car’s roof. 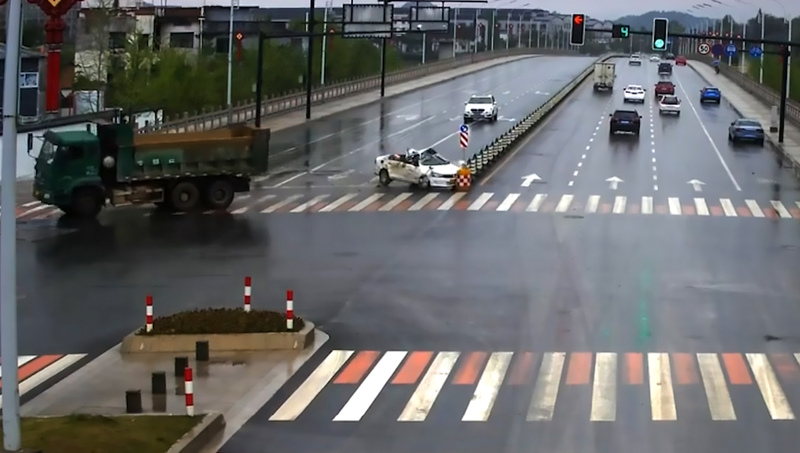 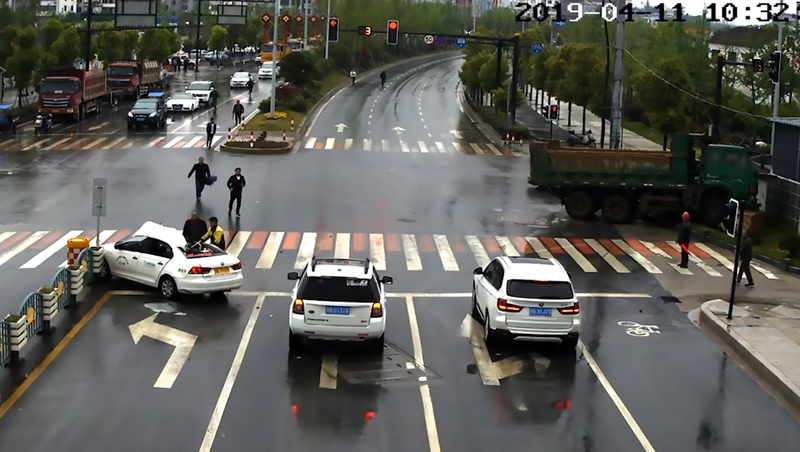 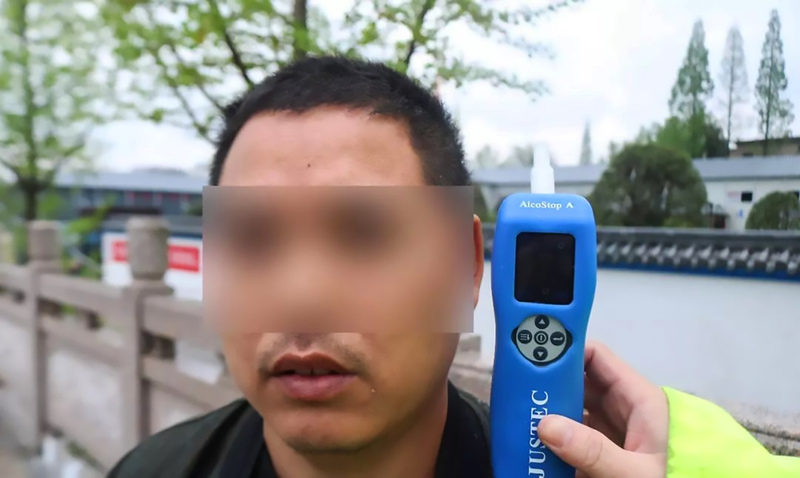 Traffic cameras at the junction between Wuchuan Road and Xinxing Road show the vehicle carrying two learner drivers and their instructor stopped at the lights in Wuyi County in East China’s Zhejiang Province. 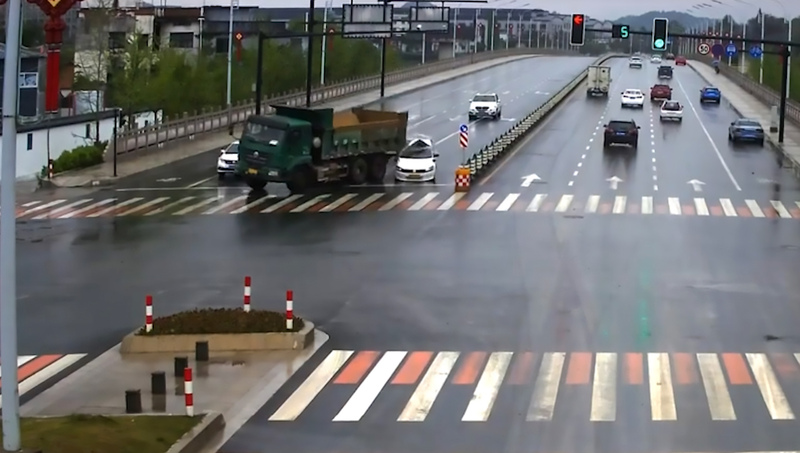 The tipper lorry approaches from behind and suddenly begins skidding and sliding on the road as the driver tries to brake. 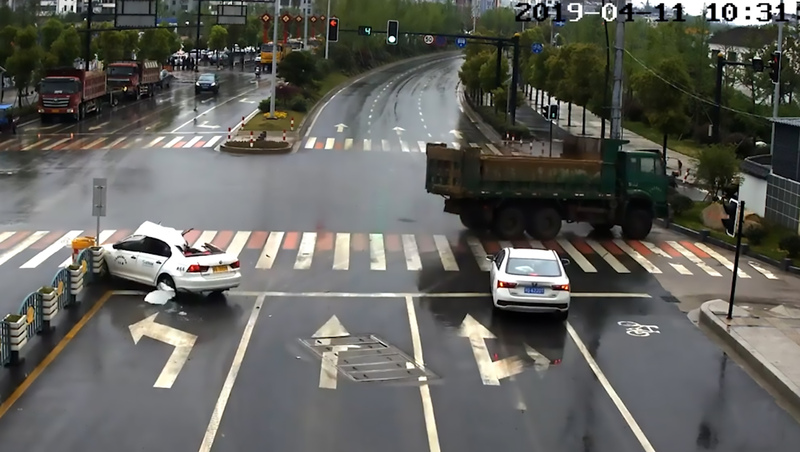 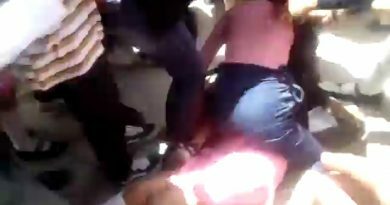 He swerves left and right before the back end whips forwards and slams into the stopped driving school car, which is pushed into a crash attenuator. 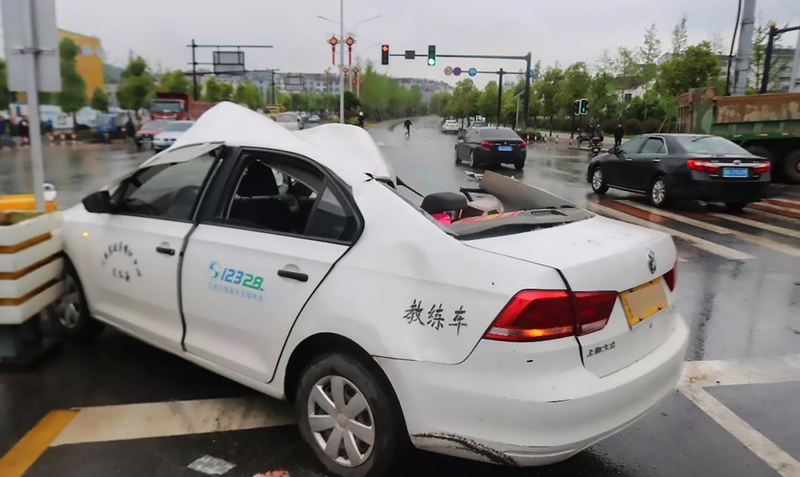 Local authorities said the driving instructor and the learner in the front seats escaped unharmed, as did the lucky student lying on the back seats. 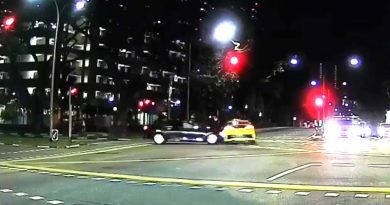 The lorry driver was cleared of drink-driving and claims he was trying to brake when his vehicle slipped on the wet road. 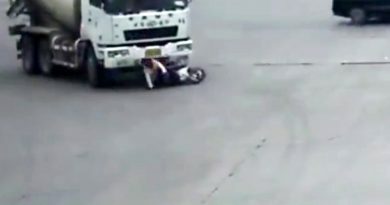 The police are still investigating the accident.